Any animal with a rigid skin has a problem with growth: the skin doesn’t grow once it has formed, so it somehow has to be entirely replaced. 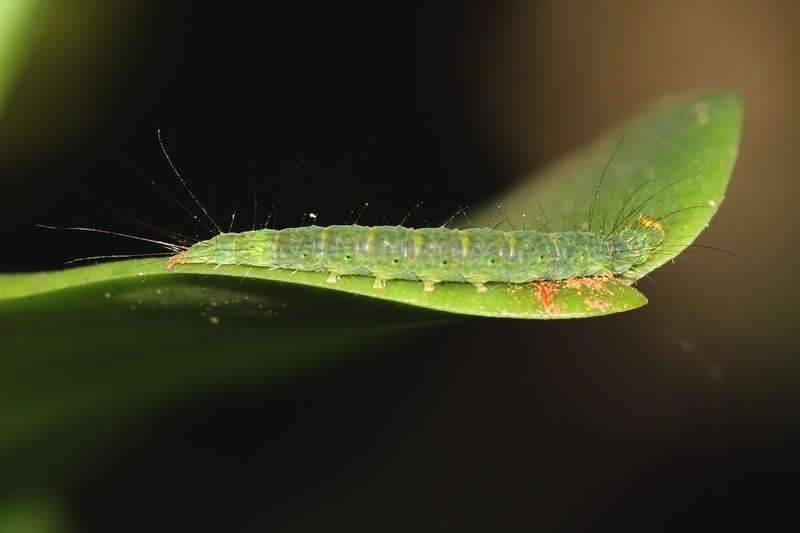 Moulting, the mechanism which has evolved to achieve this, isn’t quite as mind-bogglingly mysterious as caterpillars’ transformation into butterflies but it is still impressive. 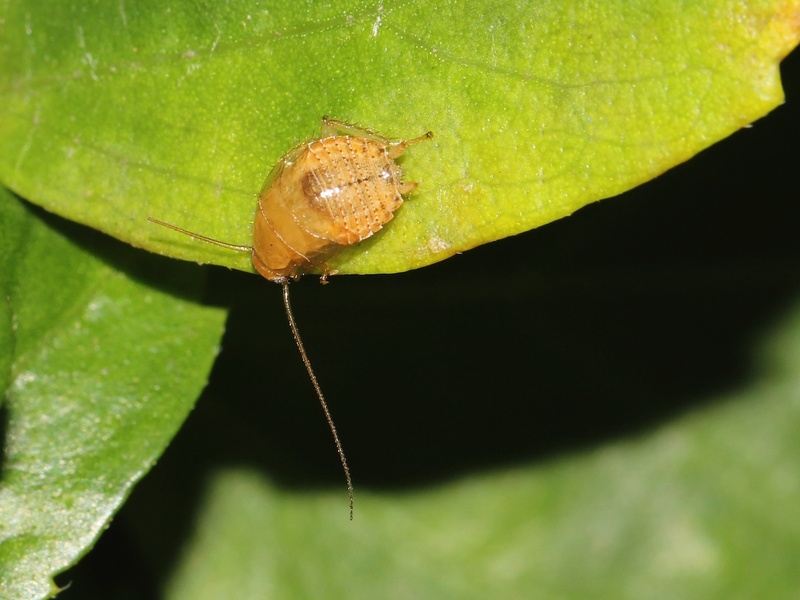 Animals with a rigid skin are technically “arthropods.” The group includes insects, spiders and crustaceans, all of which seem to have descended from a common ancestor which evolved in the sea more than 500 million years ago. They were early colonisers of land and have been successful in all sorts of environments. 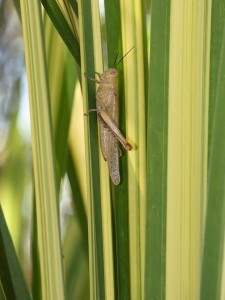 • This was the grasshopper’s last moult, since it is now an adult. The fully developed wings (still damp and soft when I took the photos) are now longer than the abdomen and will enable it to fly considerable distances. In its previous stage it had only the stumpy little wings visible on the shed skin (you will see them better at full size – just click on the photo as usual). • The adult seems much larger than the skin it has just vacated, doesn’t it? 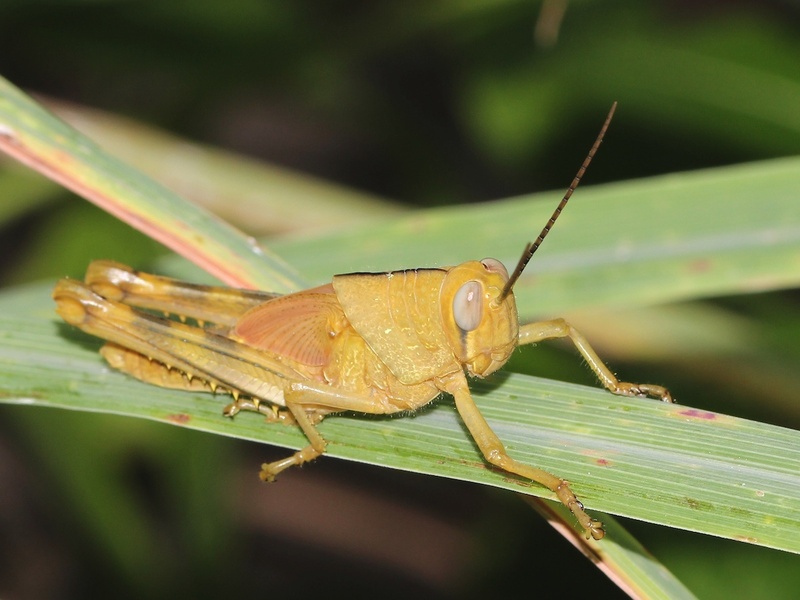 It is: grasshoppers can double their weight between moults. That’s quite a trick, since the big new skin has to form inside the small old one and must be half-empty when it hardens to provide enough internal space for the individual to put on weight later. Wikipedia to the rescue: wikipedia.org/wiki/Ecdysis details the strategies used to achieve this. 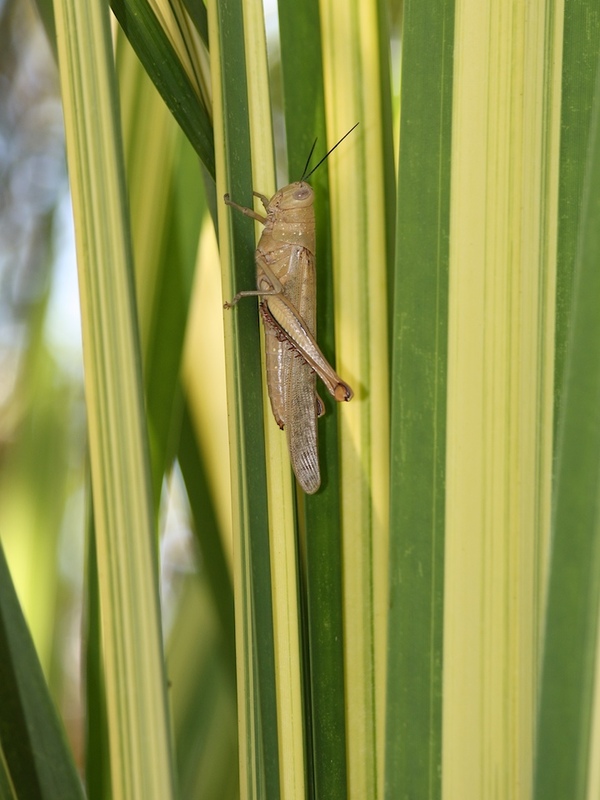 Grasshoppers don’t change their body-plan much when they moult – they just get bigger until, in the last stages, the wings develop – but some other insects change quite significantly. Dragonflies, for instance, are ugly little underwater predators until they crawl out of the water, split open and fly off as the gorgeous aerial predators we know so well. Finding an abandoned shell clinging to a reed or post beside a pond is not unusual but seeing the adult’s emergence is rare. Here is an amazing photo taken by Steve Passlow, someone I know only as a fellow contributor to the Flickr group Field Guide to the Insects of Australia (a great resource, by the way, for anyone wanting to know more about the bugs around us). Almost since I began this blog I have been writing a monthly summary of bug life in my garden (although I missed last month because I was away from home) and, having just checked what I wrote last year and the year before, I don’t feel compelled to re-do the whole survey again now since the results would be pretty much the same. 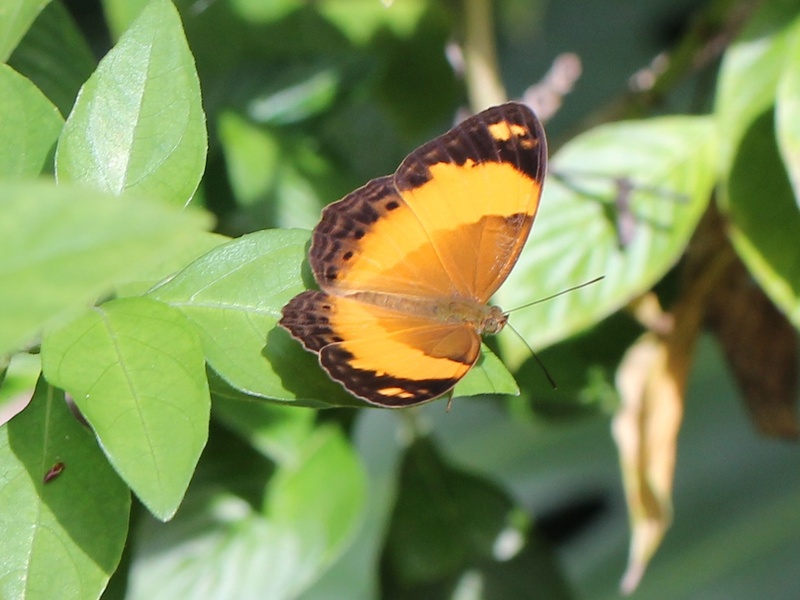 This Lemon Migrant, Catopsilia pomona, thought it was well enough hidden in the plumbago but it wasn’t – quite. 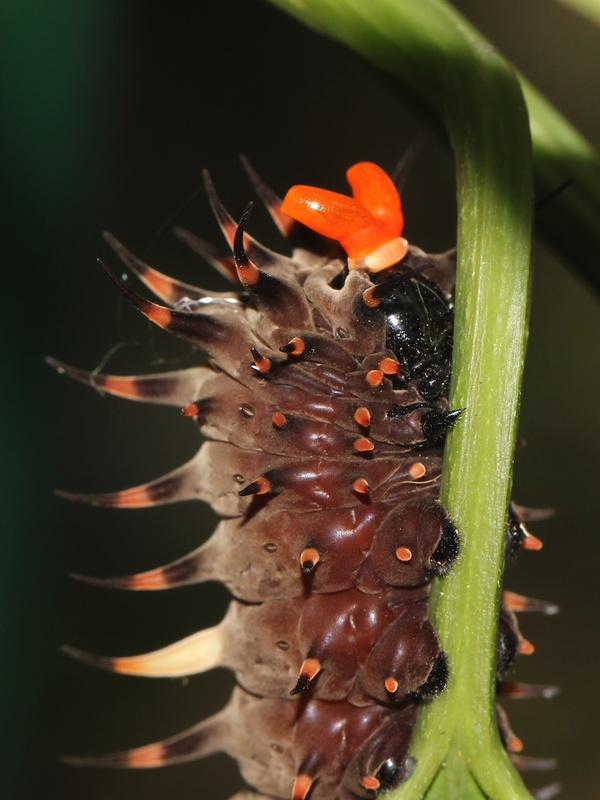 Mature caterpillar of the Cairns Birdwing butterfly, Ornithoptera priamus euphorion. The red horns are the “osmetrium” which it extrudes to frighten potential predators. We’ve had a few adult Birdwings around recently and one female has been so successful in laying eggs that our Aristolochia vines (see this older post) are being eaten to the ground by the caterpillars. The first to pupate will be okay but, sadly, I doubt that later hatchlings will survive. We have seen quite a lot of these caterpillars recently and suspect they are falling from our poplar gum. 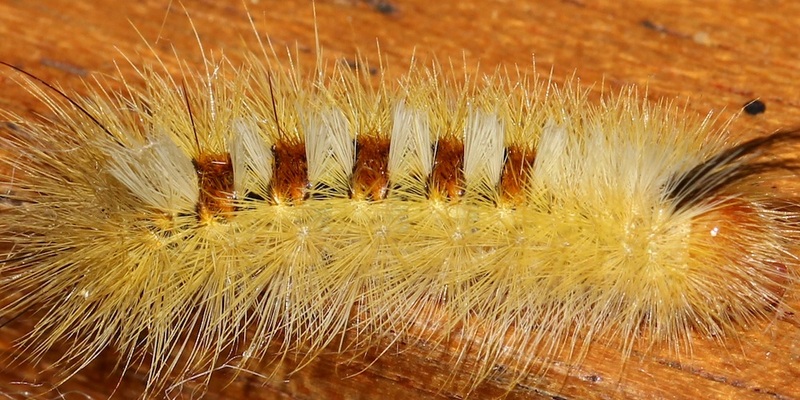 Perhaps a Tussock Moth caterpillar. 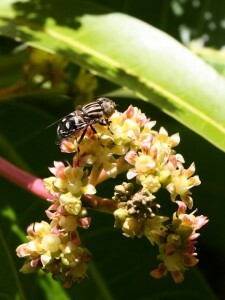 A large wasp, probably Sceliphron formosum, foraging on macadamia leaves. 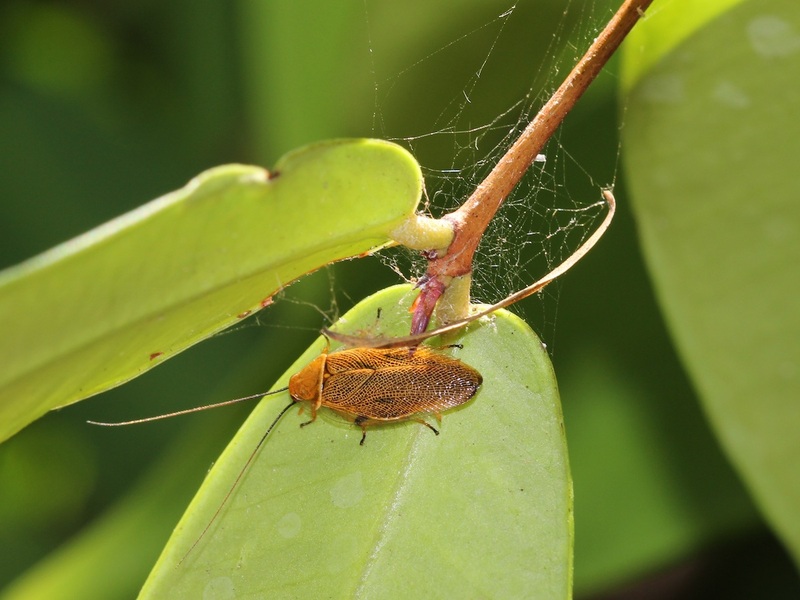 Cockroaches have such a bad reputation that the mere name makes people think the insect must be ugly, dirty and a pest. Not so: Wikipedia does spend most time on the pests but begins by noting that only about four species of 4500 worldwide are problematic. Our Bush Cockroach is no more ugly or dirty than a beetle, and its cousin from Western Queensland is very attractively coloured. A beautiful species which doesn’t visit us very often – maybe a couple of times per year. 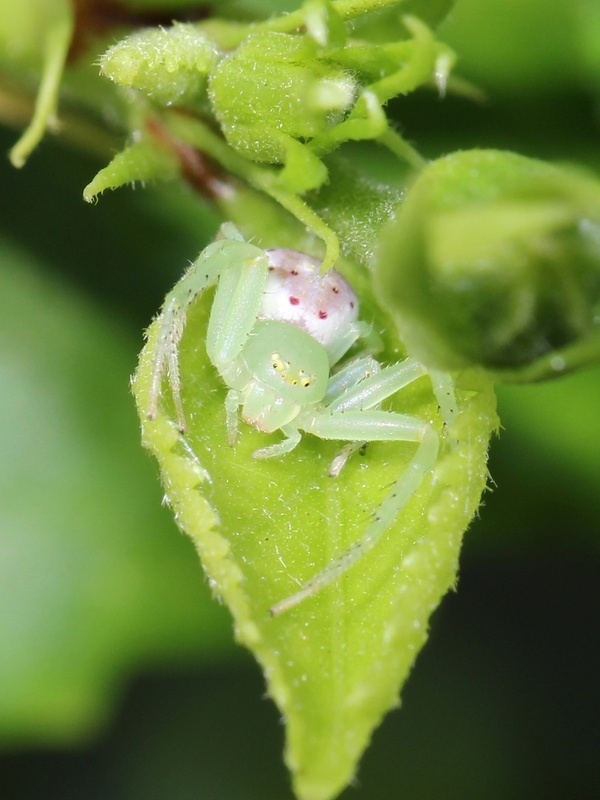 This little spider pounced from this very retreat a day earlier to capture a tiger cranefly, as seen here. 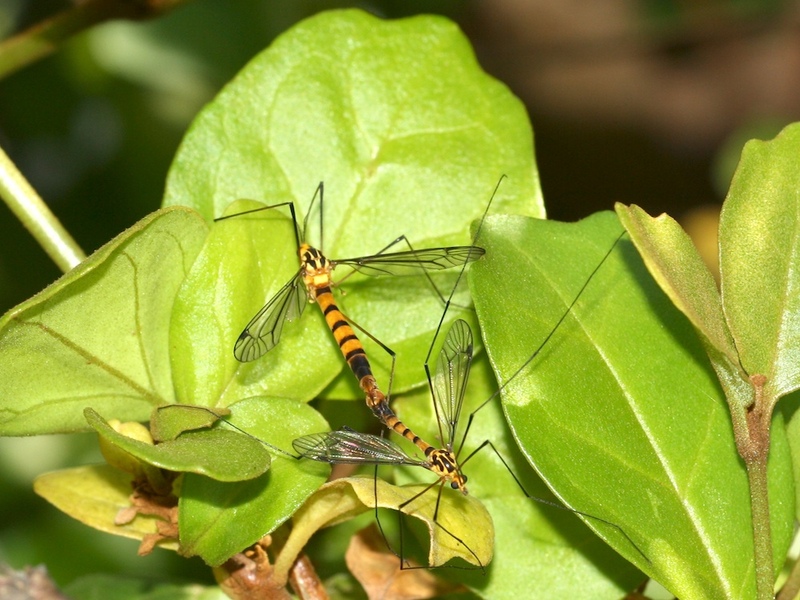 A mating pair of Tiger Craneflies, Nephrotoma australasiae. Legs everywhere! The sexes are very similar but the female (at top of this picture) is more heavily built. The total rainfall since my previous mid-month summary is exactly zero, and the relative humidity has been very low, too: below 20% at 3pm every day for the last two weeks, for instance. Temperatures have consistently swung between 8 – 10C overnight and the mid twenties during the day. Cool and dry is not what the bugs like and I’m beginning to think of them as being in ‘maintenance mode’, just ticking over and waiting for some warmth and moisture. The paperbark is flowering, as I mentioned a few days ago, and so is the mango tree. The Macadamia is almost ready to follow suit, and so is the Poplar Gum. 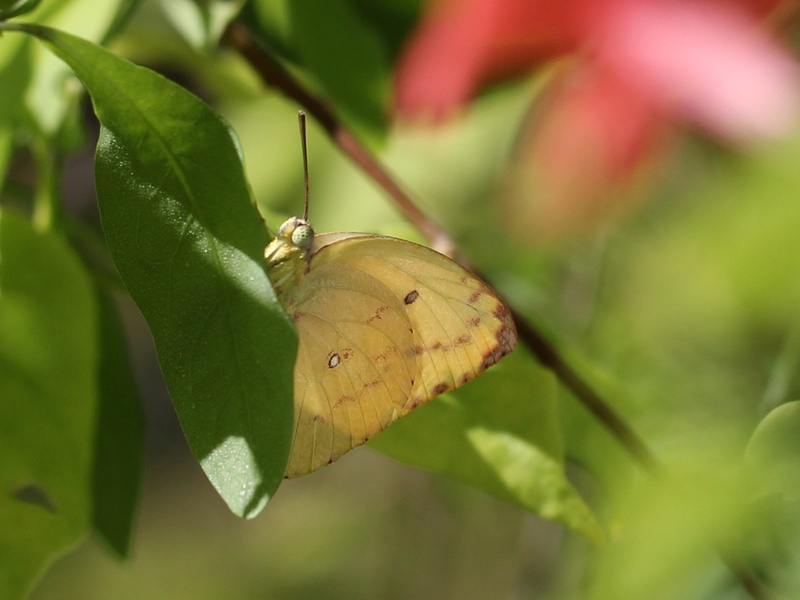 Each of these trees attracts its own group of nectar-feeders. The birds love the paperbark (as I mentioned in my previous post) and the poplar gum, but are not particularly fond of the other two. The honey bees don’t seem to care for the mango blossom but love the other three, so that pretty much leaves the mango to the butterflies, the flies (mainly hoverflies), wasps and native bees. Quite a lot of little orb-weaving spiders – Silver Orb-weavers (Leucauge granulata), Spiny Orb-weavers ( which I now believe to be Gasteracantha sacerdotalis rather than Austracantha) and St Andrew’s Cross spiders; also quite a lot of jumping spiders (Salticidae), some Lynx, and a few flower spiders. 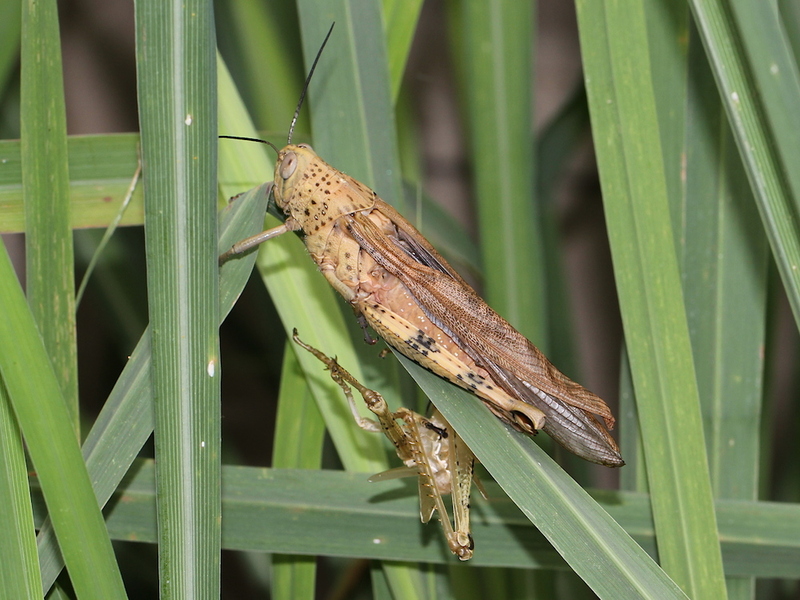 Hoppers and their nymphs, which often become food for the above. Butterflies: reasonable numbers of Junonia and Eurema and grass moths; very small numbers of everything else but including Migrants, Skippers, Melanitis leda and recently one visiting Orchard Swallowtail. Diptera (Flies): Long-legged flies (see bottom of this page), Hoverflies (see at left) and Blowflies, with occasional soldier flies and craneflies (above) and – still – mosquitoes. 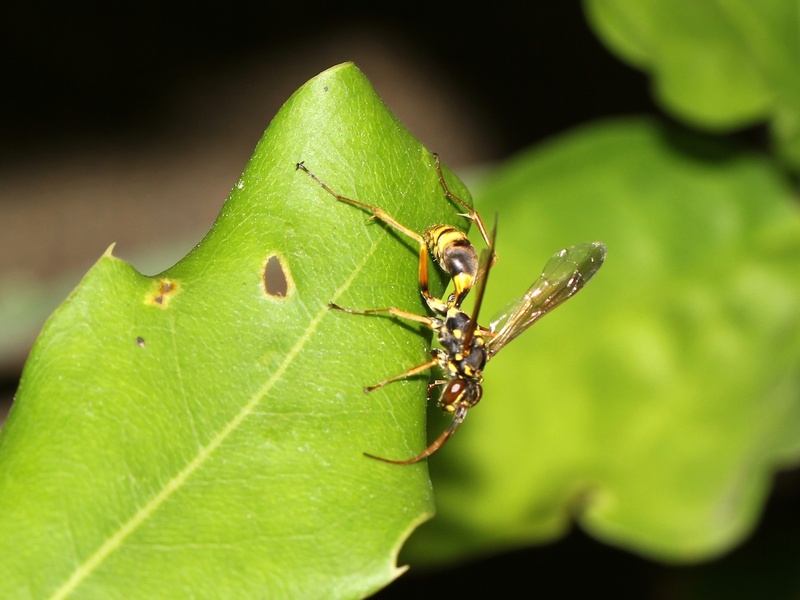 Hymenoptera (wasps, bees and ants): occasional little wasps including paper wasps (though no nests that I’m aware of) and a very few mud-daubers; some native bees again recently after a gap of a few months; the usual small ants and a slowly-growing green-ant colony. 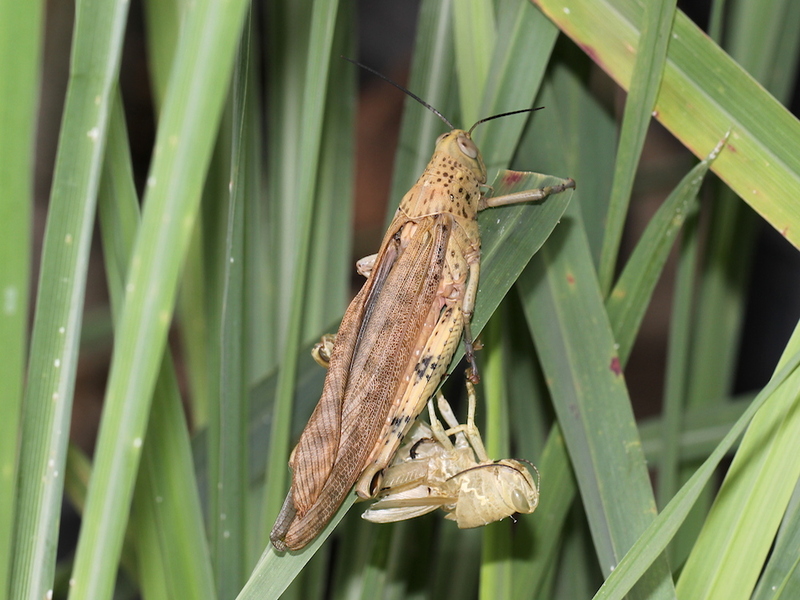 Others: a few Giant Grasshoppers; a healthy population of cockroaches in the compost bin; but no mantises (although saying that usually ensures I will see one in the next day or so).